“Only 3 hours to go Xena, run your own pace and then you’ll finishing this race and everything is done”. So I’ve cheer on myself when I started in my marathon at this year’s Hawaii Ironman. I felt anything but good. My legs felt sluggish, my body was a bit overheated, such as a car who is standing for hours in the blistering heat in a traffic jams. After a successful swim, I took the second place behind Julie Dibens (GBR) after a few km’s on the bike , which I then maintained over the full 180km. I tried to make a good time gap to the women in front and behind me but the time gap’s remained the same. When I came into T2, I was still holding the 2nd place just in front of Amy Marsh who pushed very hard in the last 40km. At this moment I knew, everyhing can still happen in the marathon. I said to myself, anything is still possible if I stay smart and do not make any mistakes. So I ran my pace, I would have like to have a little more distance from the other runners as soon as possible. They were now called. I made more pressure on the front and wasn’t worried when the excellent runner in the field Mirinda ran past me as the places fill up fast on the podium. I was not worried when the “flying Mirinda” pulled away from me, because it was what I expected – like when Julie began to walk because of cramps. All according to my plan, I thought. All I have to do is to bring it back home now. I had the perfect day and could really enjoy the finish. At this point, many thanks to the sponsor of the Swissflag! I’ve now brought in my luggage to Australia – I hope to carry the Swissflag again in triumph over another finish line soon. Congratulation to all my teammates!!! I can’t find any words to explane my emotions and feelings at the moment. I did not sleep much since my race last Saturday, but that does’t matter. My mailbox swells formally over, the Swiss mobile phone rings and pipst continuously and my homepage has established over 3’000 visitors/day. It’s a great feeling to know I’ve done everything right. A great feeling to get glory back after the hours and hours of hard work. A indescribable feeling, to cross the finishline at the Ironman Hawaii, with the Swiss flag in my hand, after a perfect race. I’ll post a racereport later on (when I’ve some more time). But I like to say thank you all for watching my race on the computer until late night and cheering for my on the racecourse in Kailua-Kona. Thank you for all your lovely text messages, mail and releases in the my guestbook! 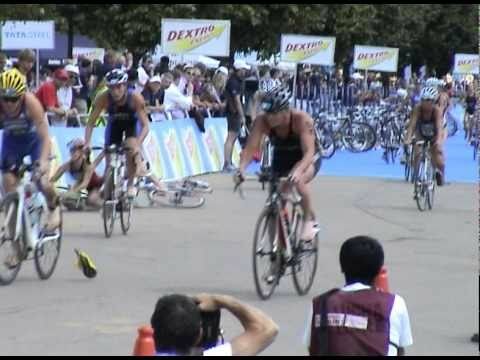 ALOHA – Die Tage bis zum grossen Start am IRONMAN WC Hawaii 2010 sind gezählt. Ich bin nun schon seit 1 Woche auf Big Island und habe heute meine Vorbereitung endgültig abgeschlossen. Soweit läuft alles rund, ich habe mich gut anklimatisiert und eingelebt. Nun freue ich mich auf die kommende Woche, die doch noch einige spezielle Ereignisse mit sich bringt. Nebst dem üblichen Training steht ein Meeting mit meinem persönlichen Sponsor Compresssport 3S, Fototermin mit unseren Team TBB Sponsoren 3T und Blueseventy, sowie Autogrammstunde im Zelt von unserem Team TBB Haupsponsor Cérvelo auf dem Plan. Auch das Schweizer Fernsehens SF wird mich besuchen kommen und in den letzten Vorbereitungen und wärend dem Raceday begleiten. You are currently browsing the Caroline Steffen’s Blog blog archives for October, 2010.